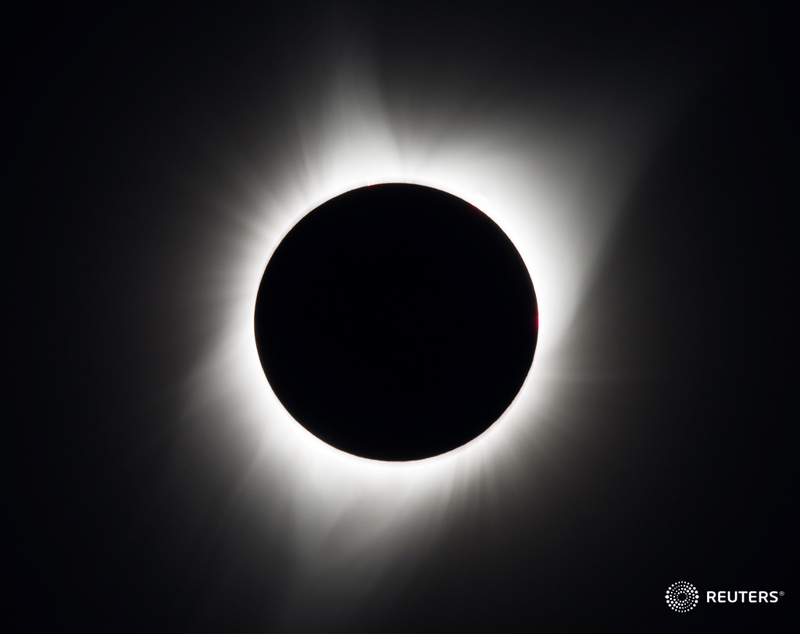 'It was literally cold and dark': Total solar eclipse viewed throughout the U.S.
No need to get a pair of protective eclipse glasses for your dog or cat, experts say they don't normally look at the sun. In today's NASA briefing about Monday's solar eclipse, co-chair of the National Solar Eclipse Task Force Angela Speck remarked, "It’s no different than any other day. 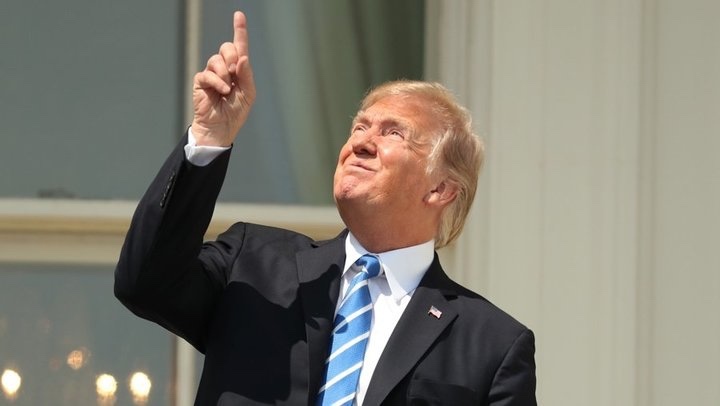 On a normal day your pets don’t try to look at the sun and therefore don’t damage their eyes, so on this day they’re not going to do it either." 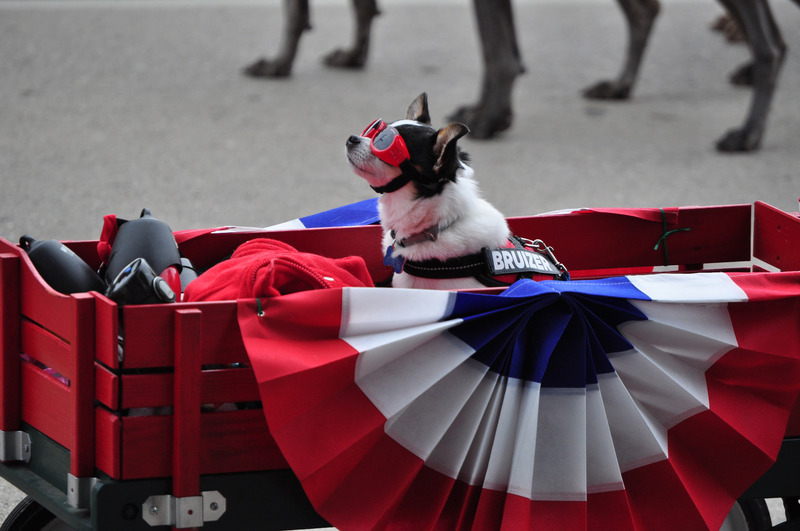 Veterinarian Dr. Tom Reaping of Youngstown, Ohio says, "Pets have a built-in ability to not look at the sun anyways so they are not going to be looking at that area." If you're still worried, simply keep your pets inside --with the shades drawn-- during the eclipse. 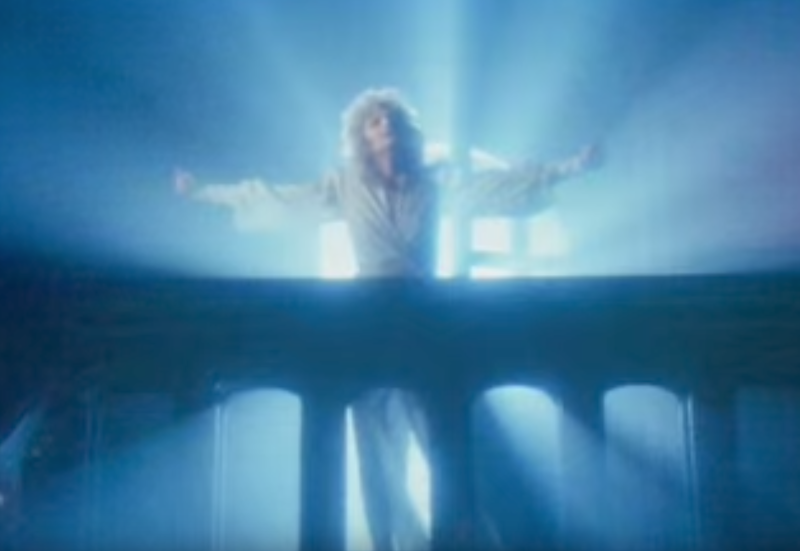 Singer Bonnie Tyler will perform her 1983 hit "Total Eclipse of the Heart" on Royal Caribbean's Total Eclipse Cruise, a cruise ship that will be in the path of the total solar eclipse come Monday. Tyler will take time off her world tour to belt out the power ballad -- just as the moon crosses the sun -- on the ship, Oasis of the Seas. Tyler told TIME, ""The eclipse of the sun lasts 2 minutes and 40 minutes, I’m told. Unlike my song. It had to be chopped about, because it was so long." 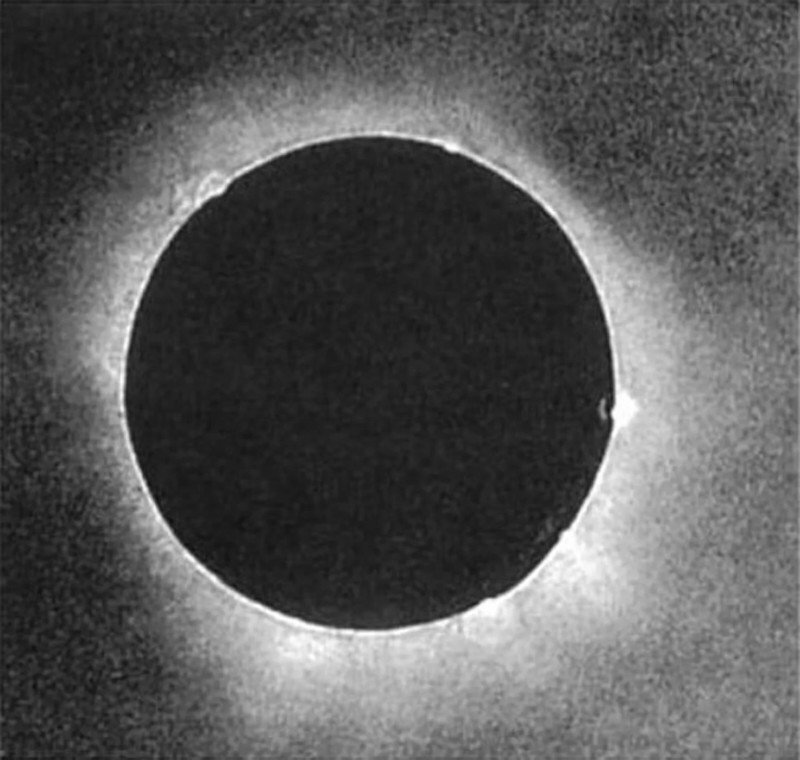 On July 28, 1851, Johann Julius Friedrich Berkowski took what's thought to be the first photograph of a solar eclipse. The Royal Prussian Observatory in what's now Kaliningrad, Russia, had mounted a six-centimer refracting telescope to a 15.8 centimeter Fraunhofer heliometer used to measure the sun's diameter. Berkowski made an 84 second exposure to create the daguerreotype seen above and below.